Minnesota United’s first season in Allianz Field is here and Minnesota Youth Soccer Association is pleased to once again partner with the Loons. MYSA is providing a ticket discount for CC United Soccer. Each request is eligible for up to four tickets. Head to the MNUFC website by using the following link to claim your tickets. There are a limited number of tickets available for each game which will be distributed on a first-come, first-served basis. It's time to think about summer! 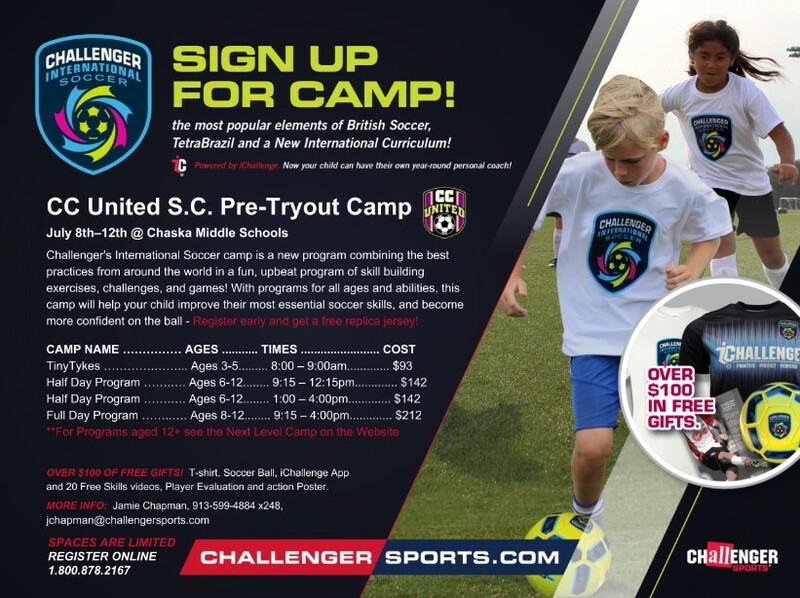 Challenger Soccer Camps July 8-12 at the Chaska Middle School Field. Click HERE for details and to register today! Adults can join in on the soccer fun! 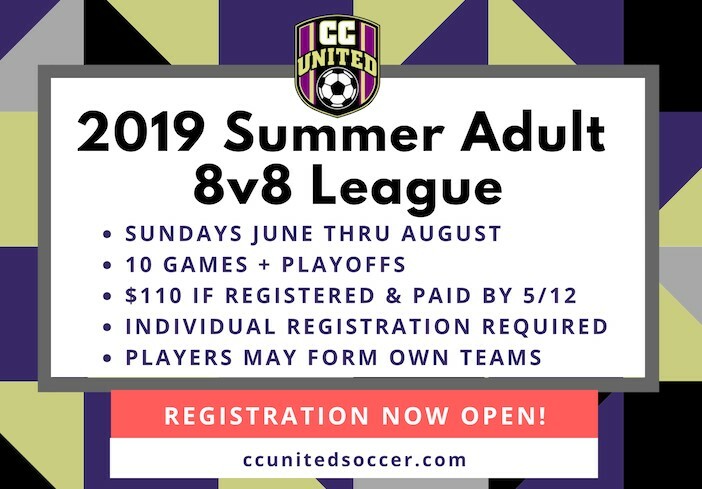 The CC United Adult League is for players of all skill levels. You can sign up and be assigned to a team or sign up with a team in mind. 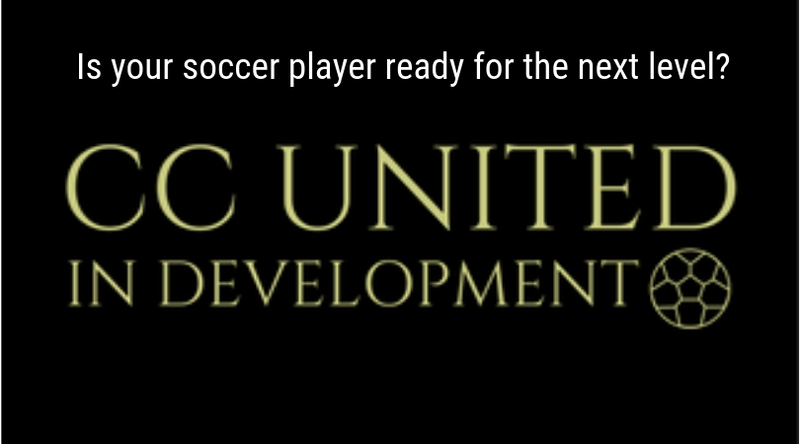 CC United in Development (CCUD) offers year-round programs for players born in 2011-2013 (U6-U8) interested in transitioning from Recreation to Competitive Soccer. 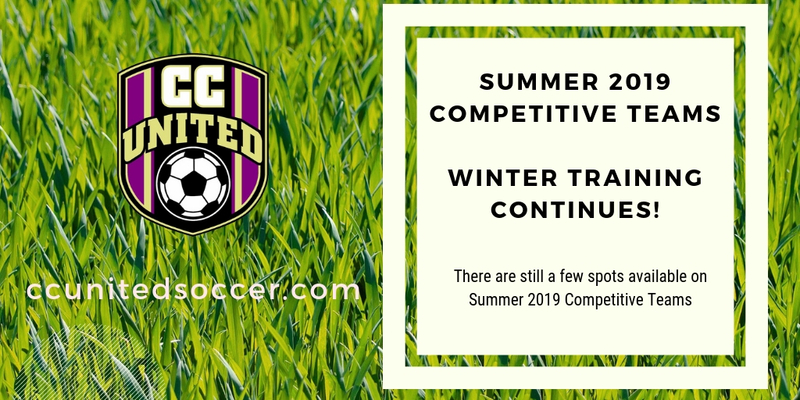 The Summer CCUD Session is designed for players ready to move to the next level, looking to improve their skills and prepare for the competitive league. Players will develop the skills to feel confident when entering the U9 Competitive League. The CCUD schedule allows players to also participate in the Summer Rec League. Registration for the Summer Session is OPEN.